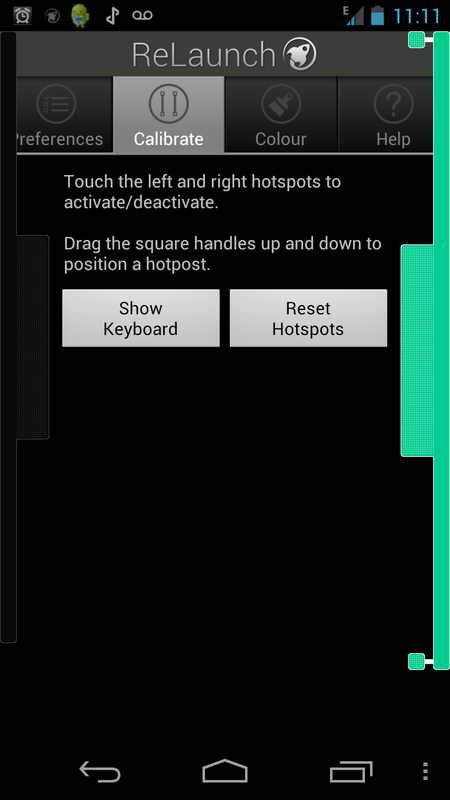 My app of the day is a free app that makes getting to your apps on Android so much easier. 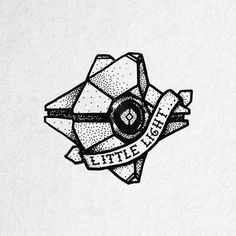 If you are like me and don’t want to install a launcher like Apex or Nova on top of your clean Android and are tired of flipping through pages of Apps to find the right one then this App is for you. 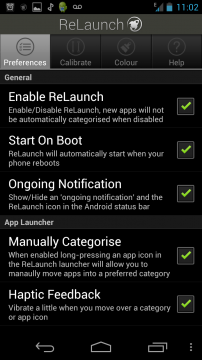 Relaunch gives you on touch access to all your Apps in categories which you can customize. Relaunch takes all your apps and puts then in categories on the edges of your screen so no matter what you are doing you can press down at the edge of the screen and get a list of all your apps. 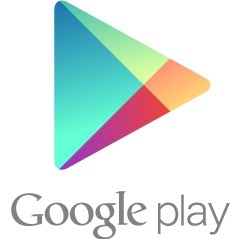 When you first download the app it will go through all the apps installed and use the category that Android used. 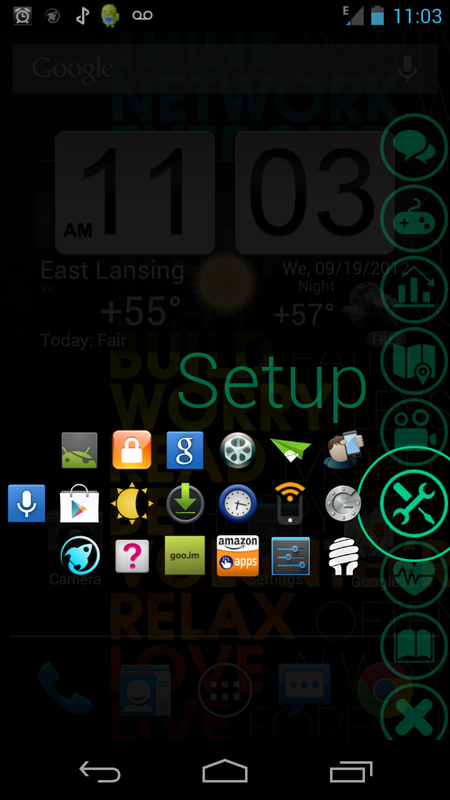 If you want to change the way the app works you have plenty of settings to customize. If you open the Relaunch app you will get the preference screen where you can change the app settings. 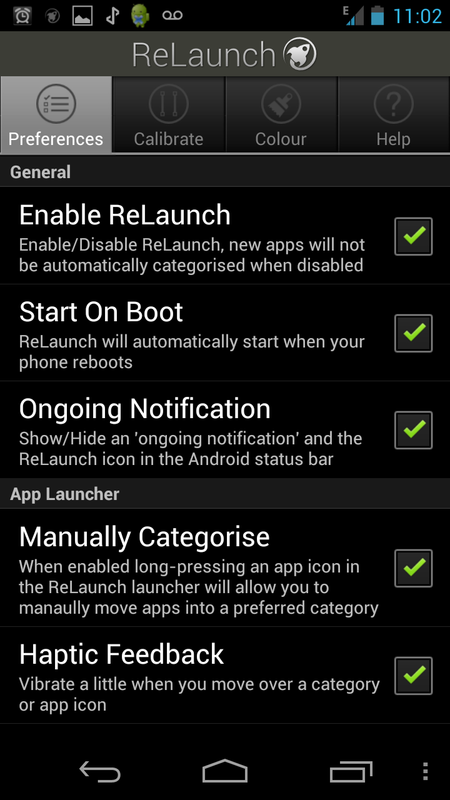 In preferences you can choose to start Relaunch on boot, you can change how it feels when you select an app. If you don’t like the category an app is in you can choose to manually categorize which allows you to hold down on an icon and move it to another category. You can also change the icon size and the category labels. If you run into trouble accidentally opening Relaunch when you are typing you can change the hotspots or what side of the screen the Relaunch bar will be. You can choose both sides of the screen and you can show keyboard and adjust how long the bar is to keep from accidentally hitting Relaunch when typing. 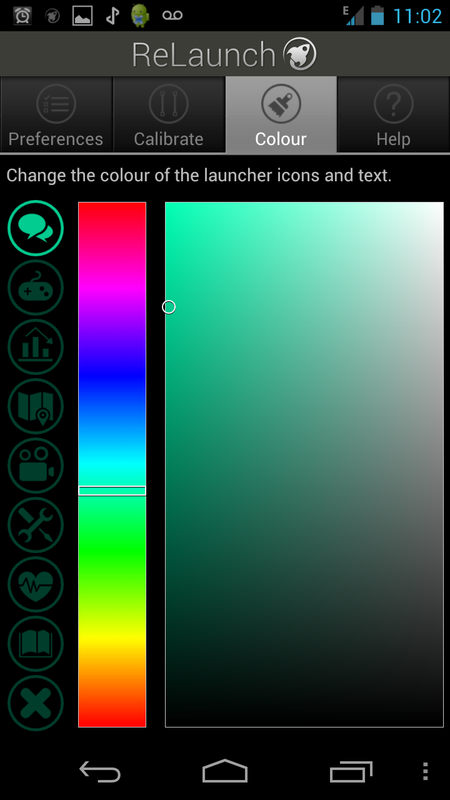 If you want even more customization you can change the Relaunch bar color to any color in the spectrum. So far you can’t have a different color for categories but hopefully that is coming. Relaunch is one of the best launchers I have downloaded it does not completely take over the UI and change the way it looks which is one reason I like it. Relaunch is a must get free app for anyone who wants to make it easier to access their apps. Check it out at Google Play Store. 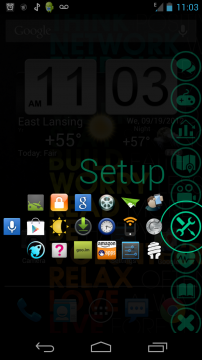 Let me know if there are any Android apps you like that I should try and review.